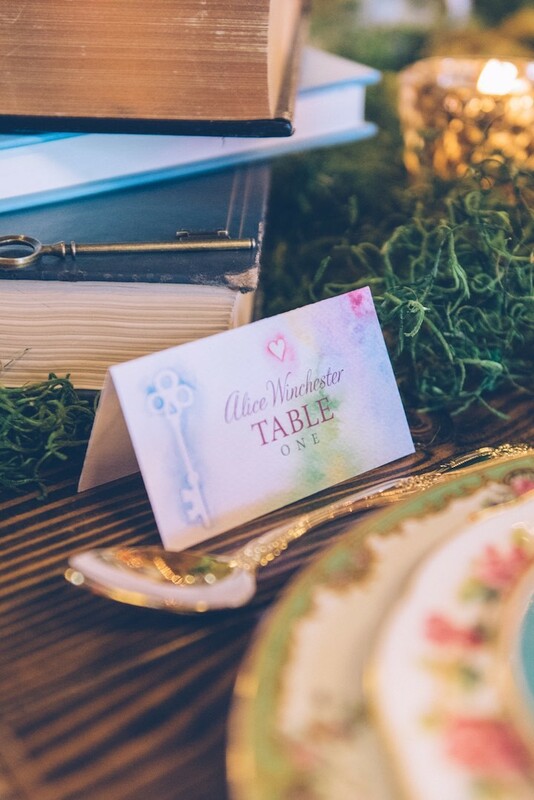 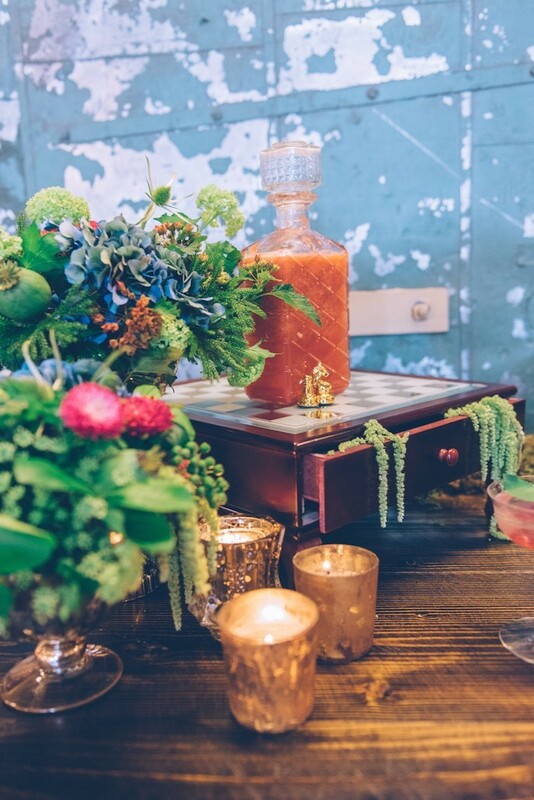 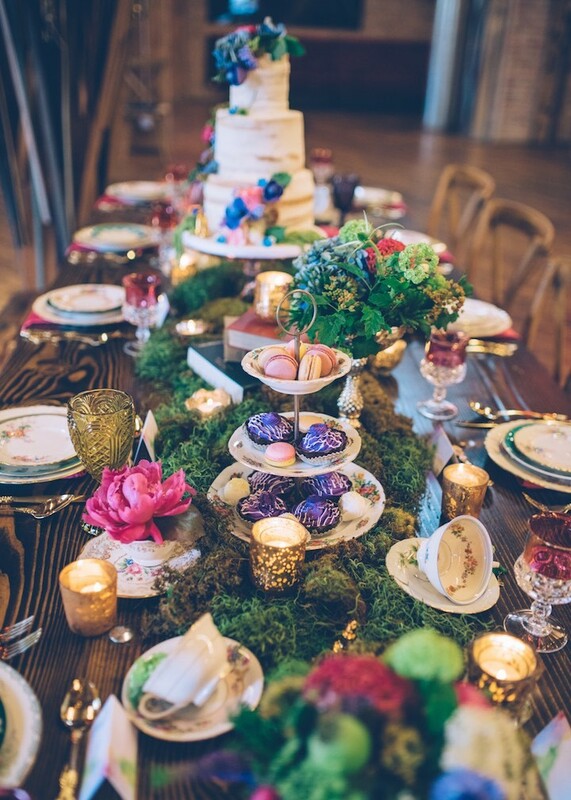 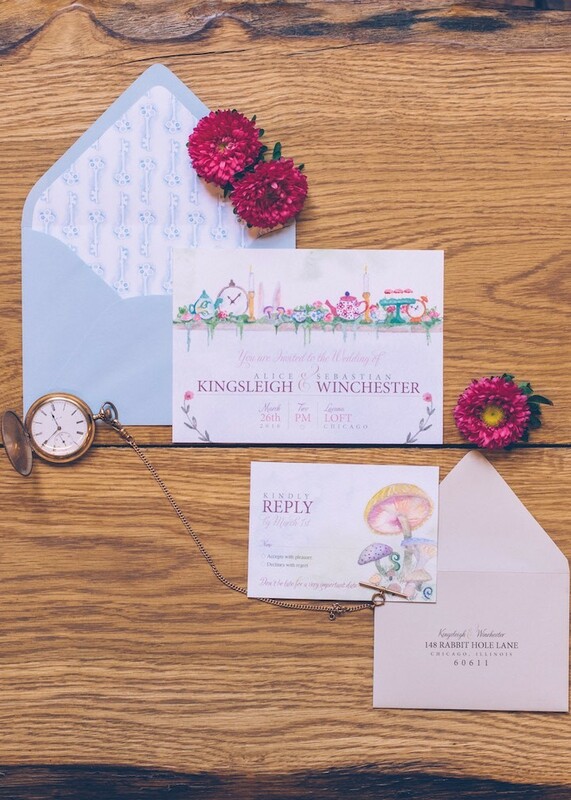 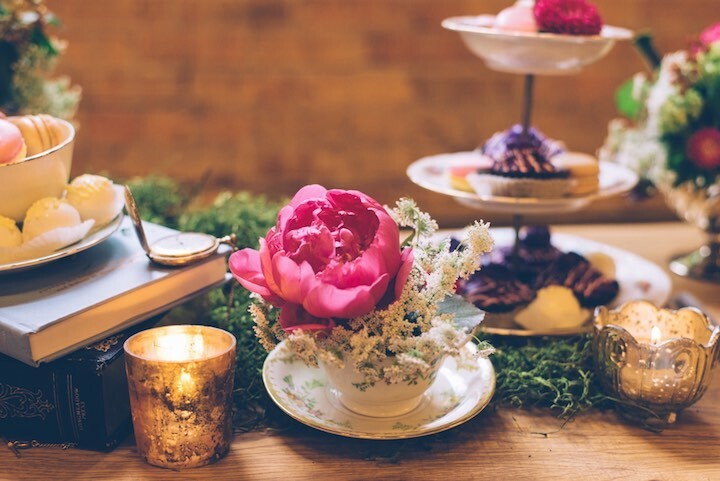 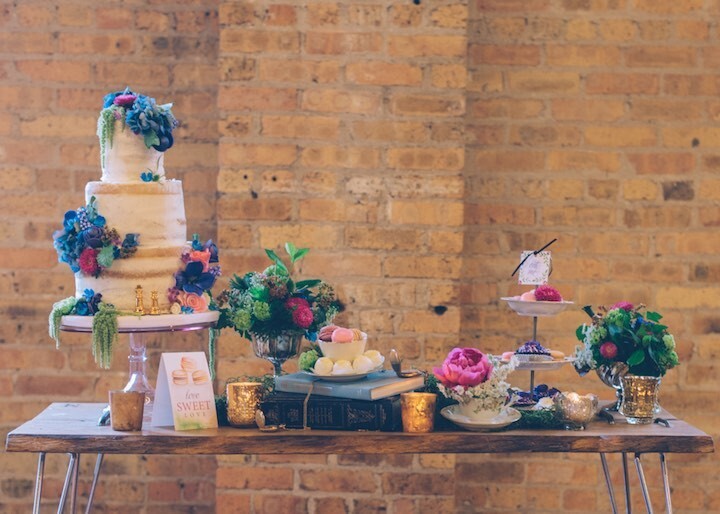 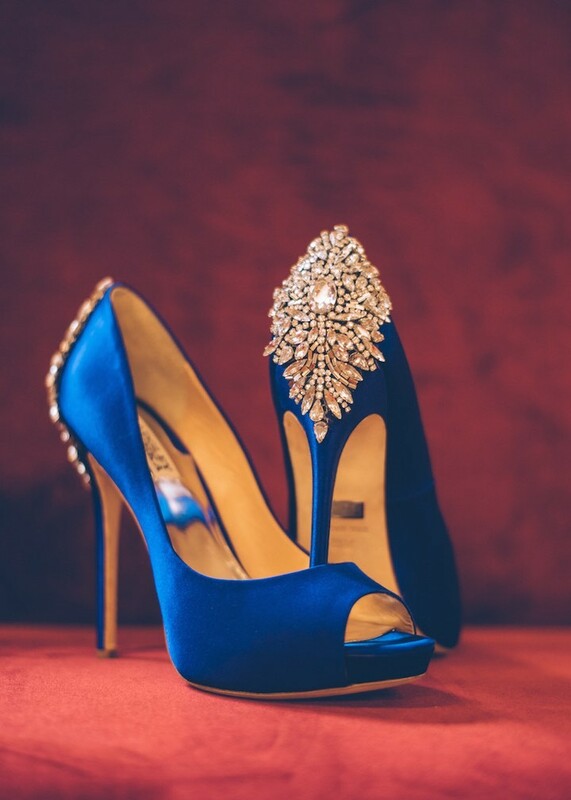 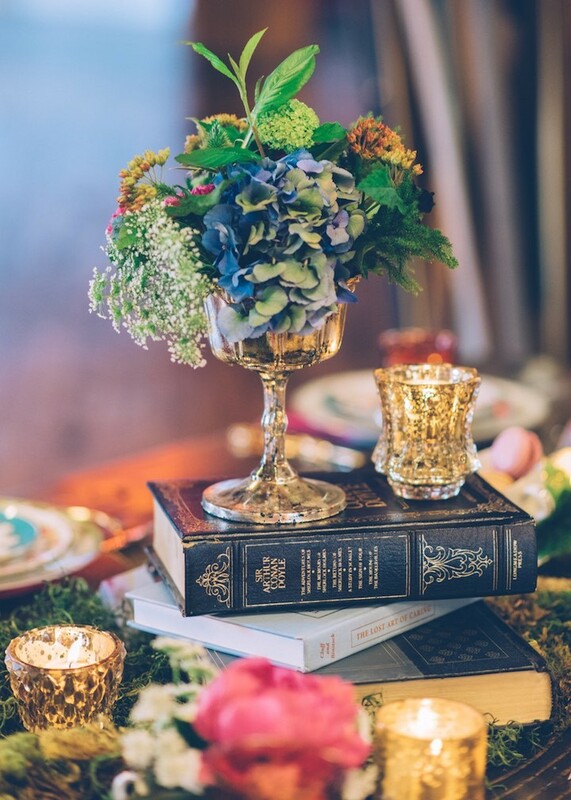 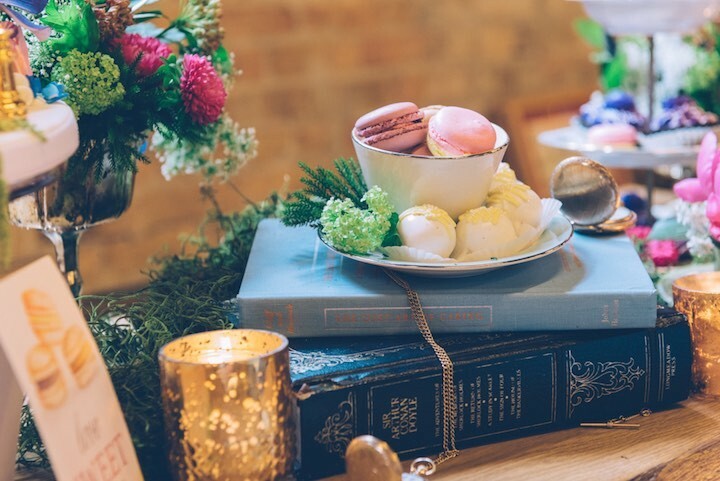 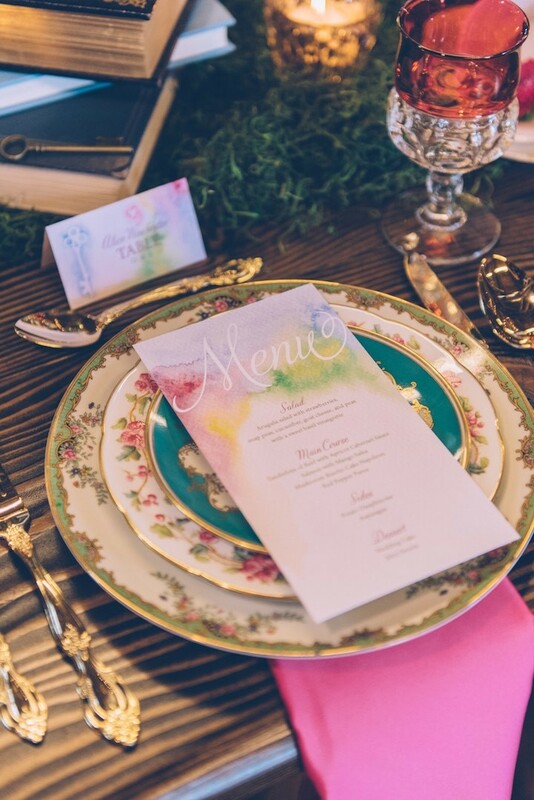 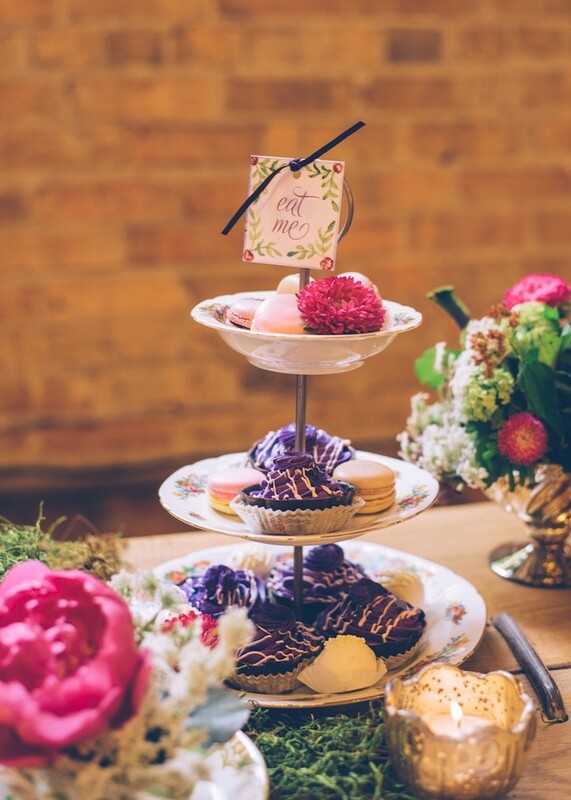 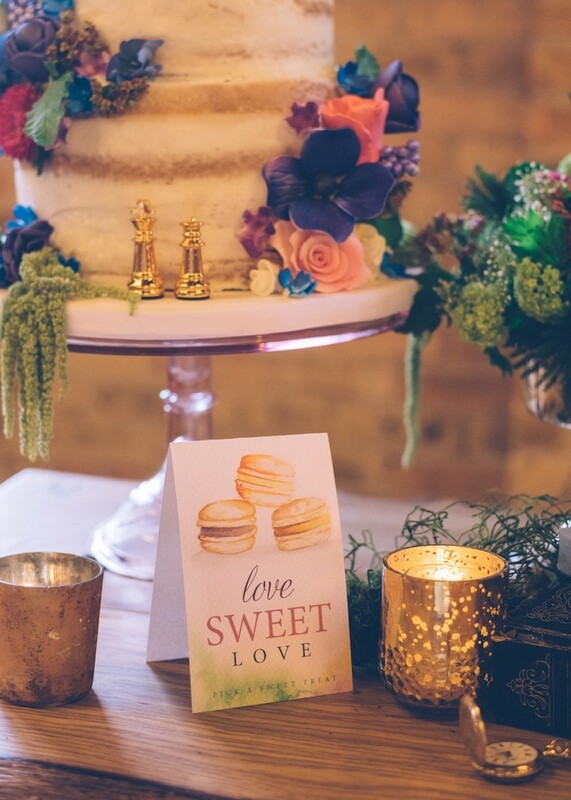 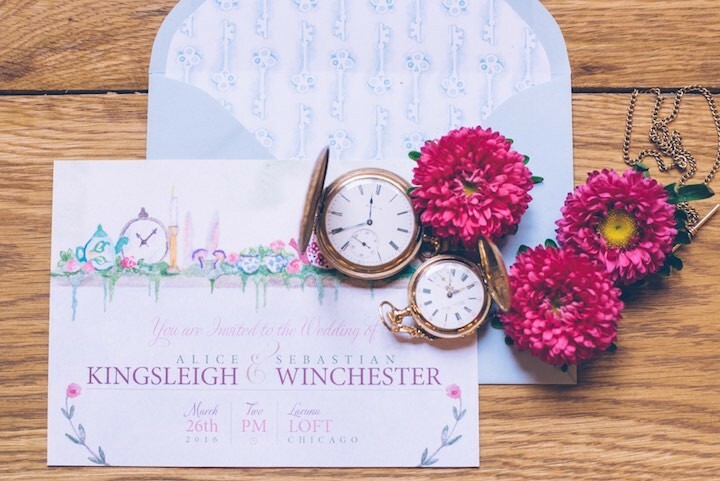 Ed and Aileen Photography got together with Dotted Events to celebrate a classic fairy tale “Alice in Wonderland” for this Chicago wedding inspiration shoot. 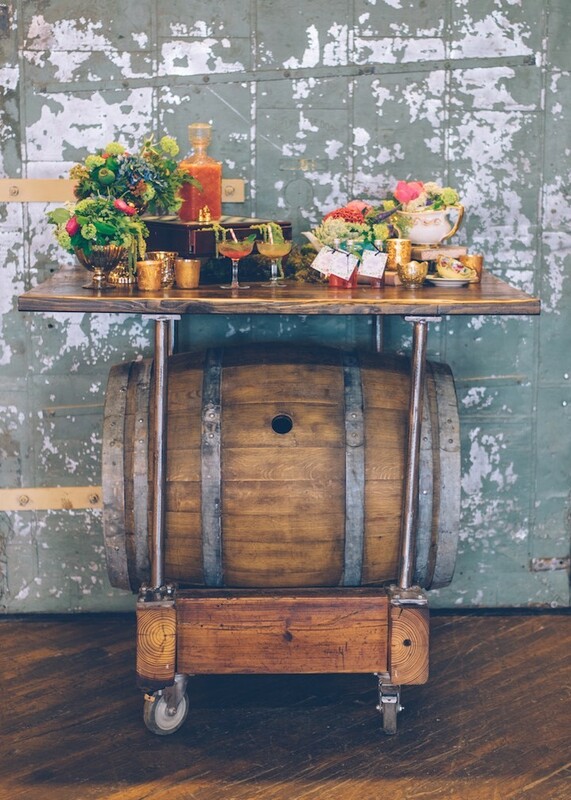 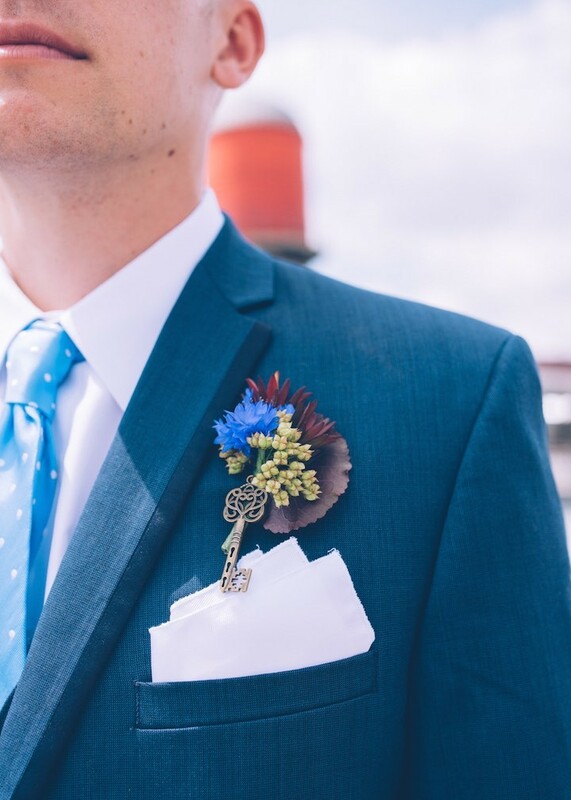 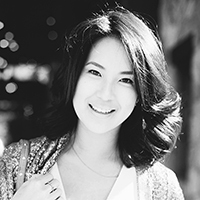 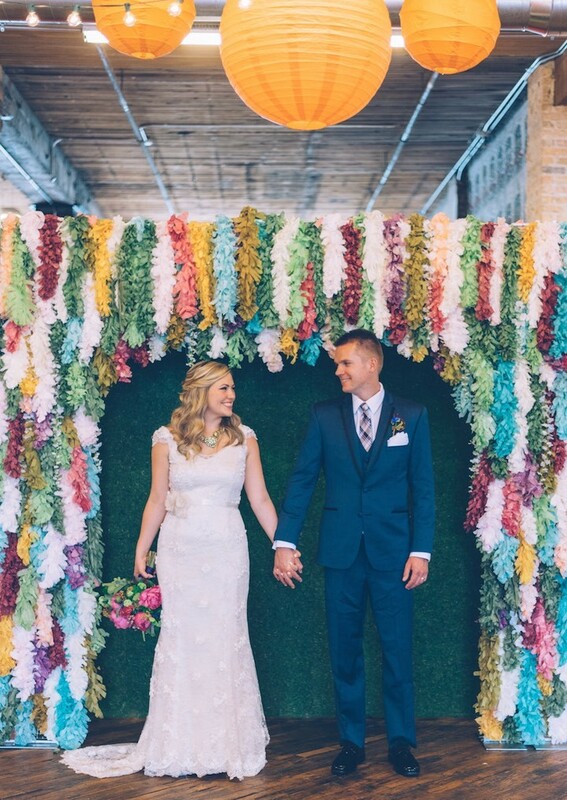 The styled shoot took place at Lacuna Artist Loft Studios which provided the perfect backdrop for this creative and whimsical shoot. 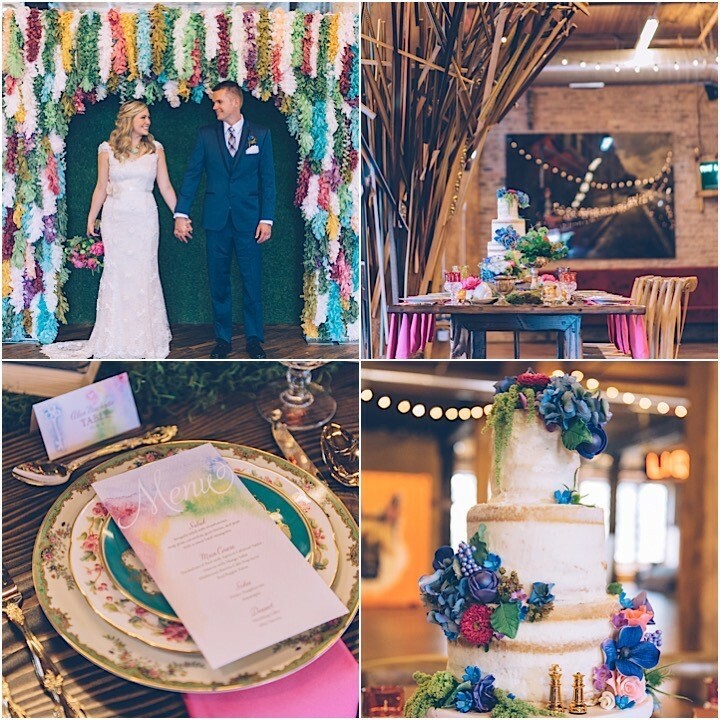 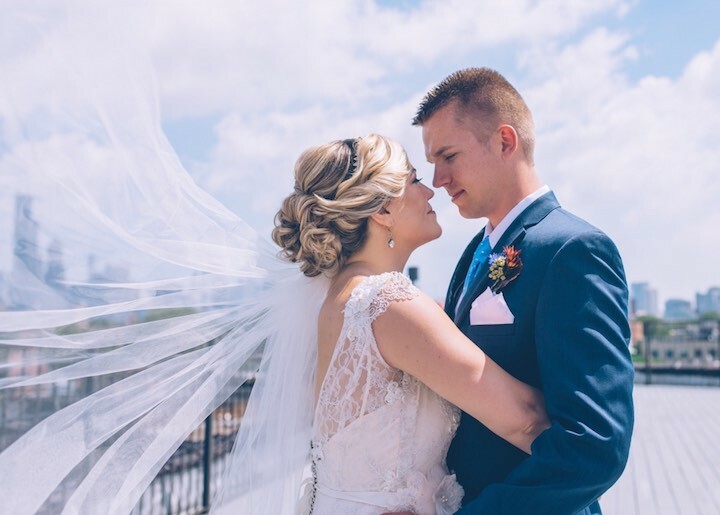 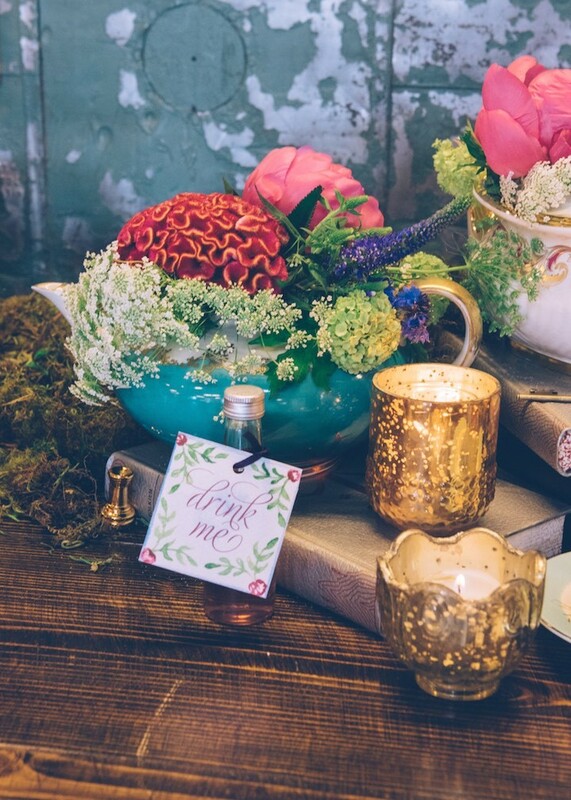 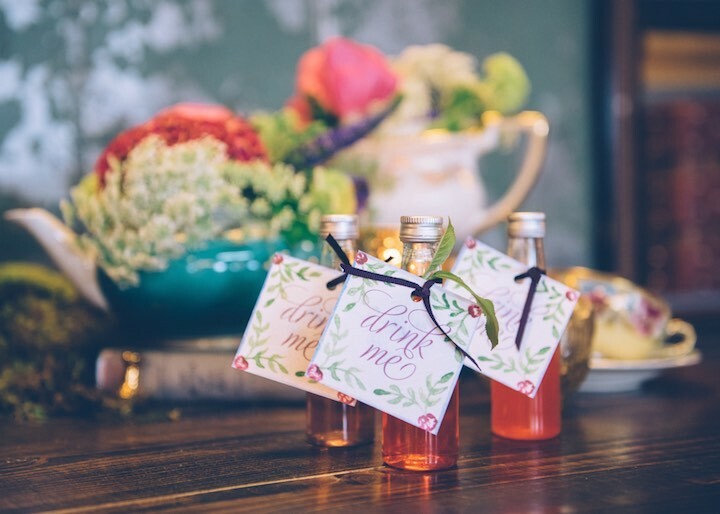 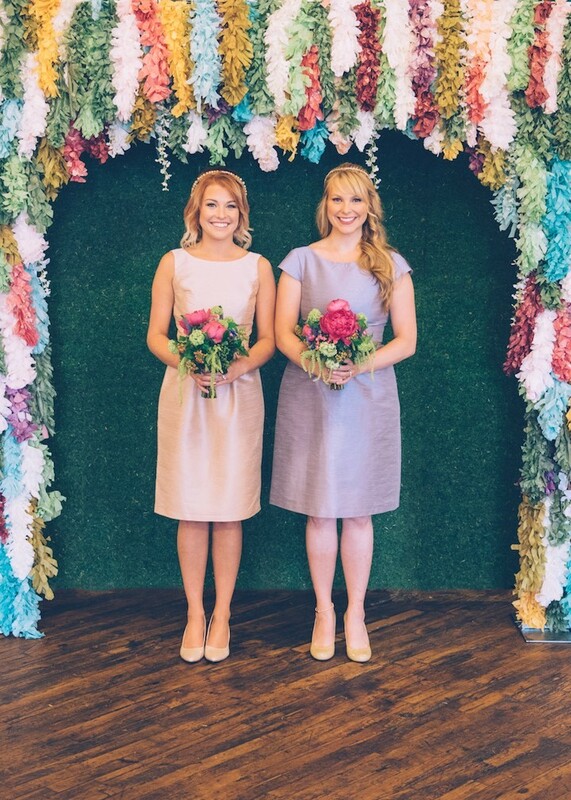 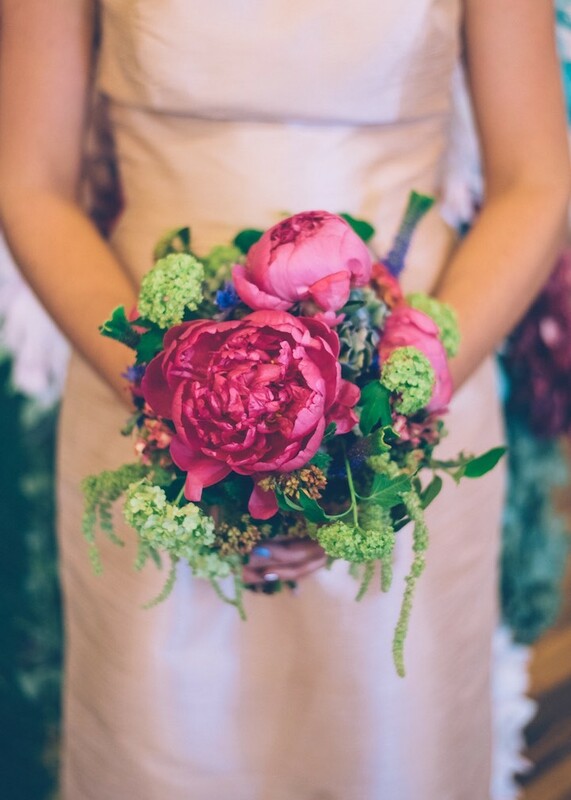 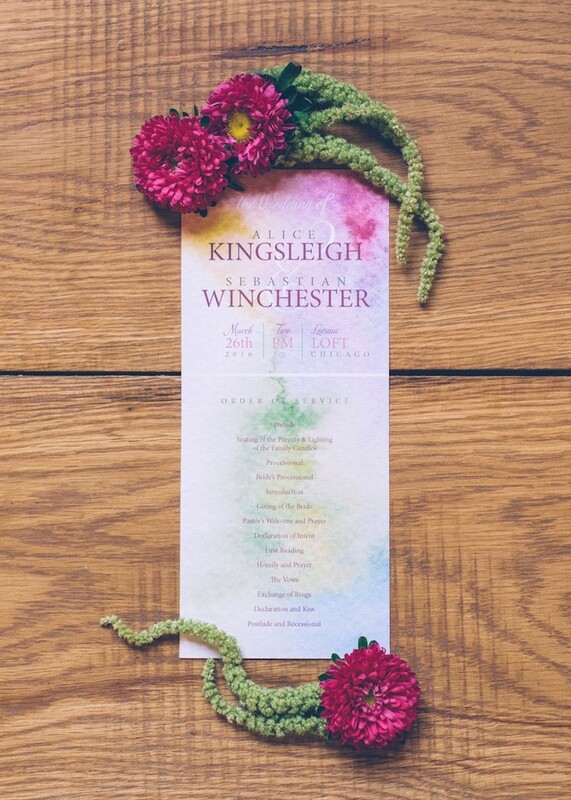 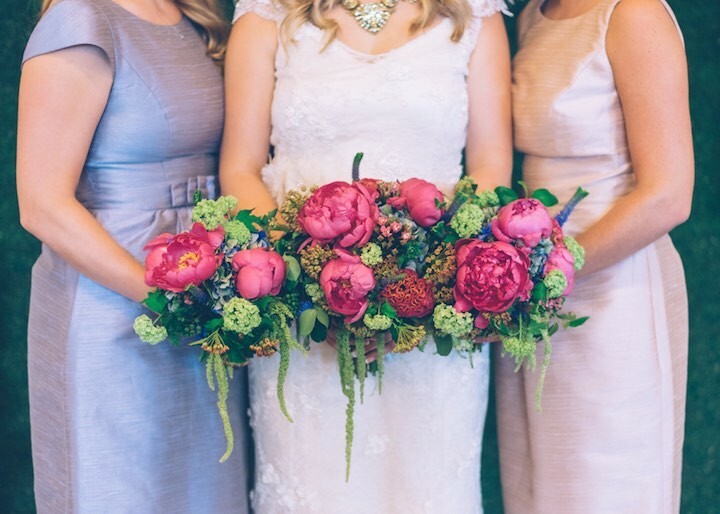 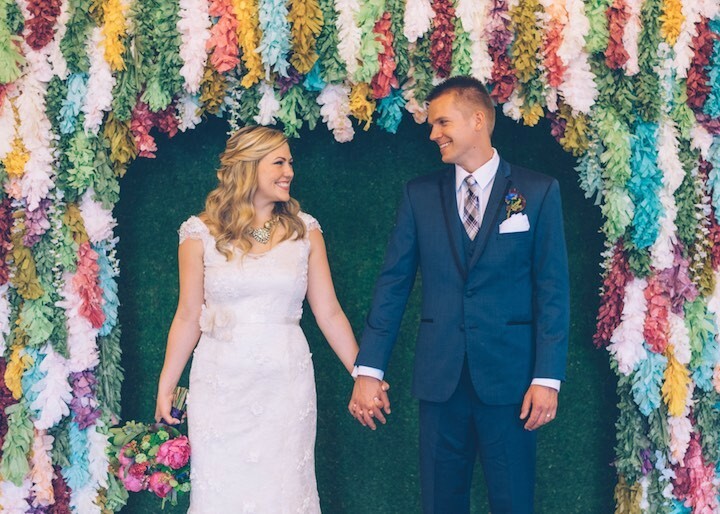 The romantic tea-party inspired ceremony and reception was decorated in shades of bright pink, blue, green and gold. 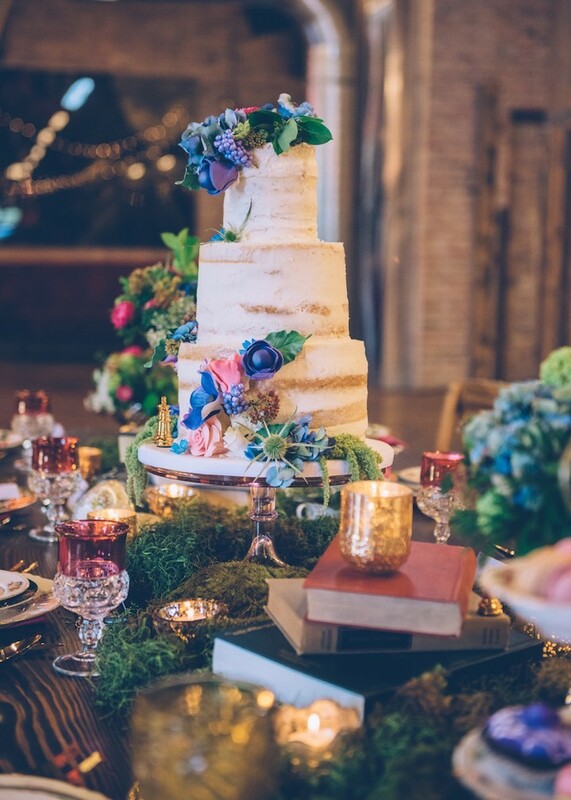 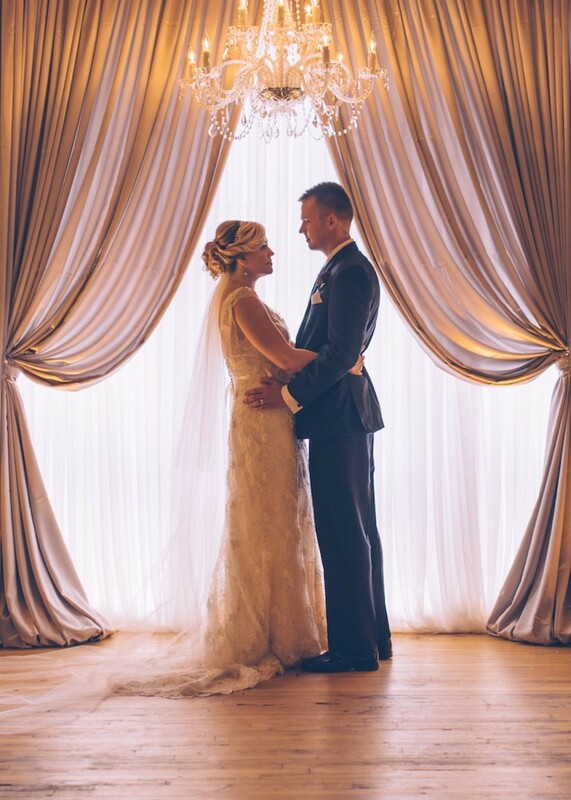 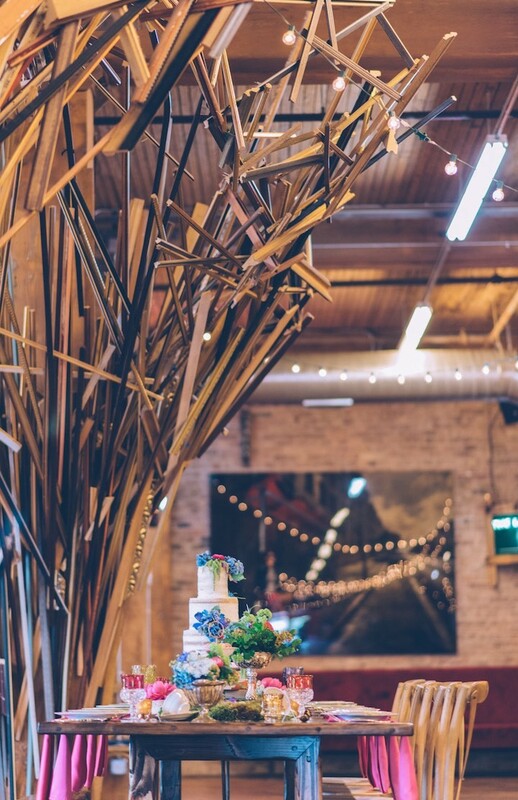 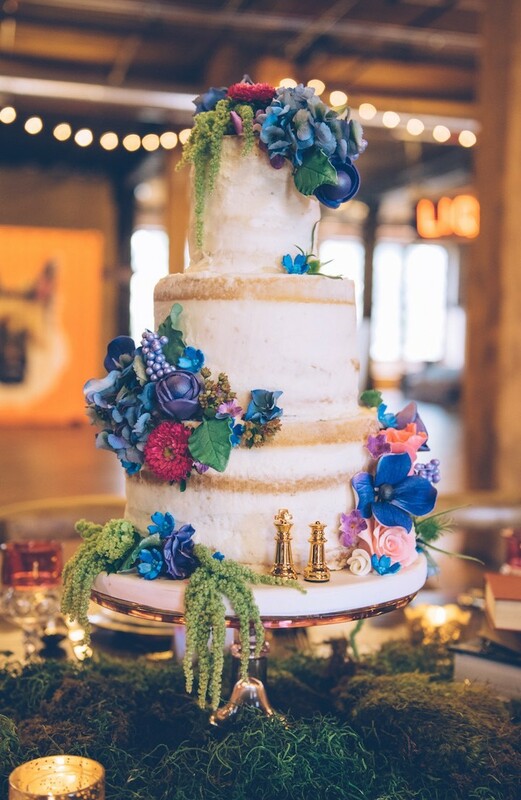 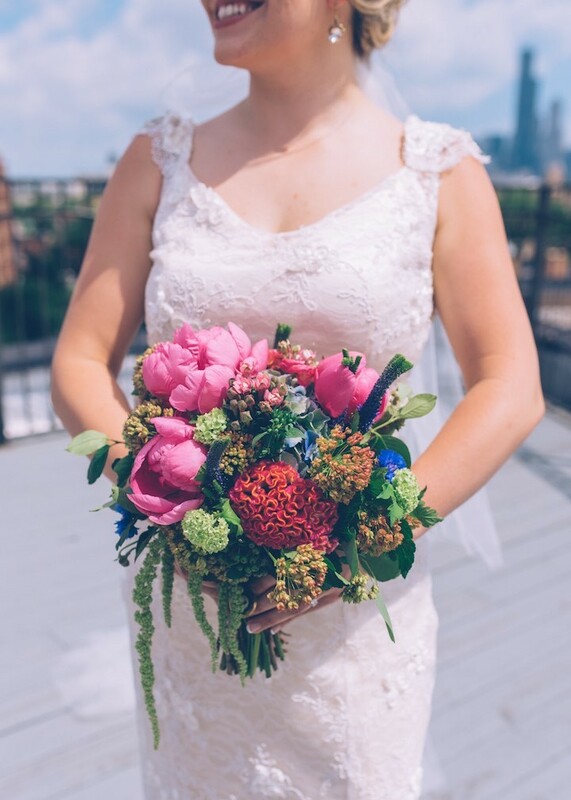 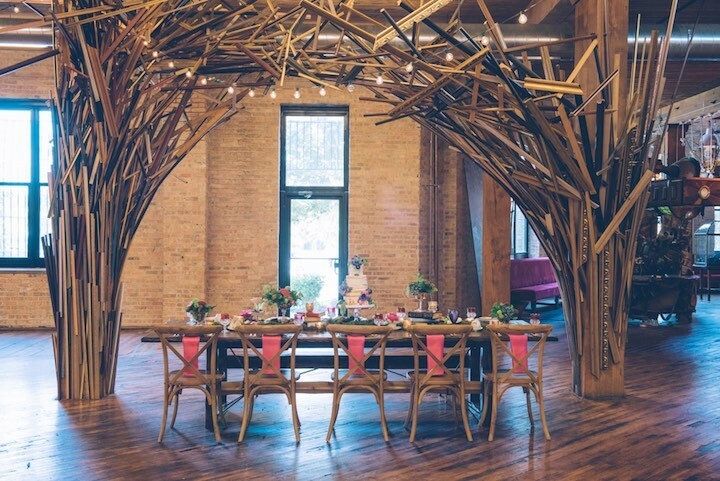 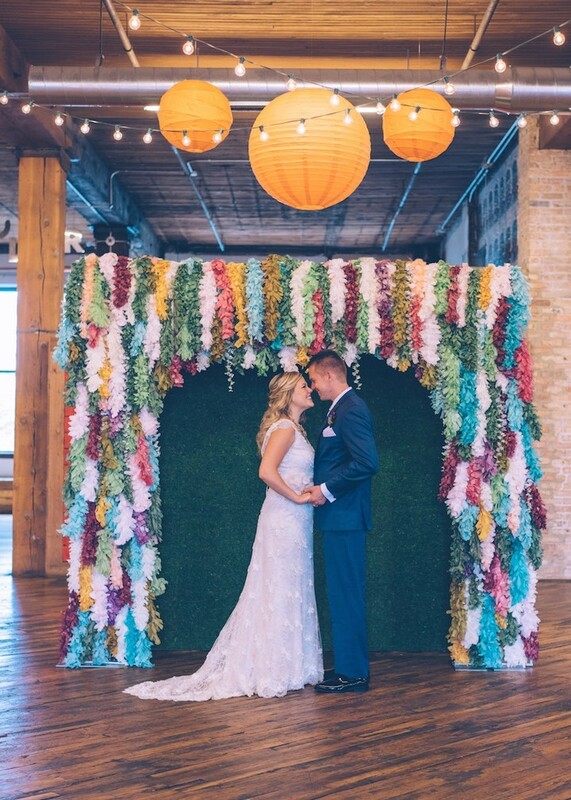 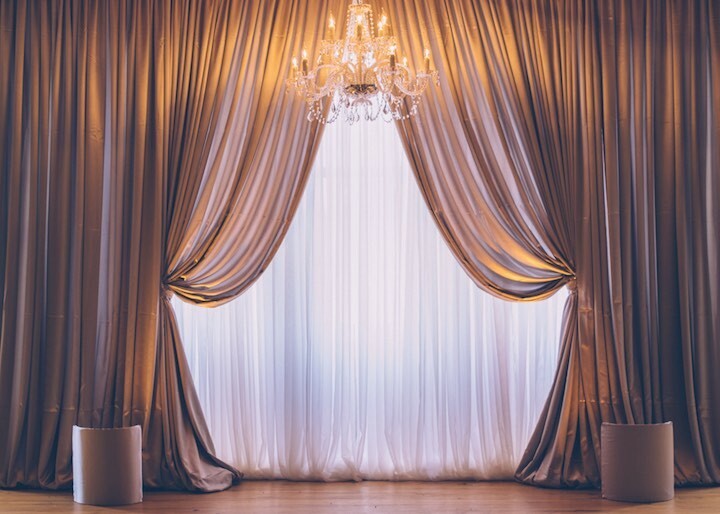 Ed and Aileen share that “enchanting florals, from oversized peony blossoms to layers of moss, were complimented by other natural pieces, such as handcrafted wooden furniture and a naked cake.” Scroll through to get inspiration from this dreamy and fantasy-filled Chicago wedding!